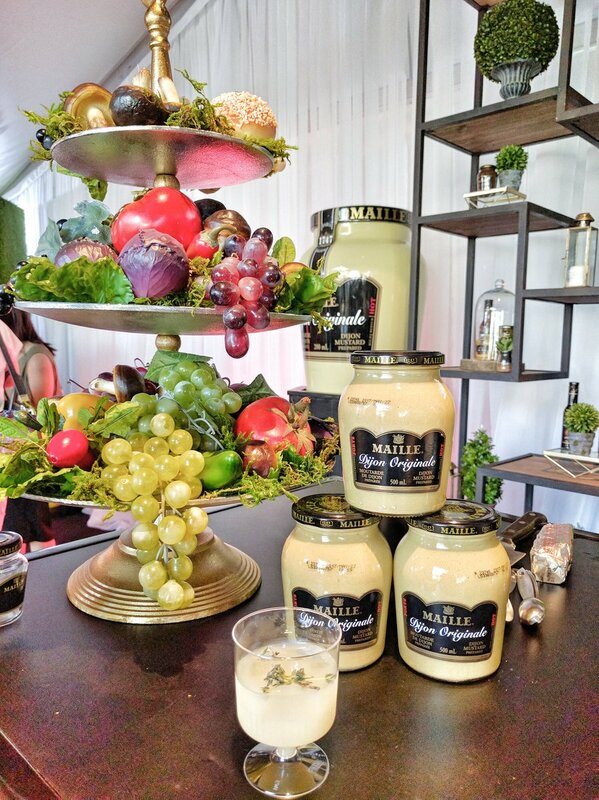 Maille Flavour Studio came to Taste of Toronto 2016, where they hosted three innovative culinary workshops hosted by Mustard Sommelier, Harry Lalousis, to inspire home chefs to elevate their meal and create haute casual dinners with Maille. 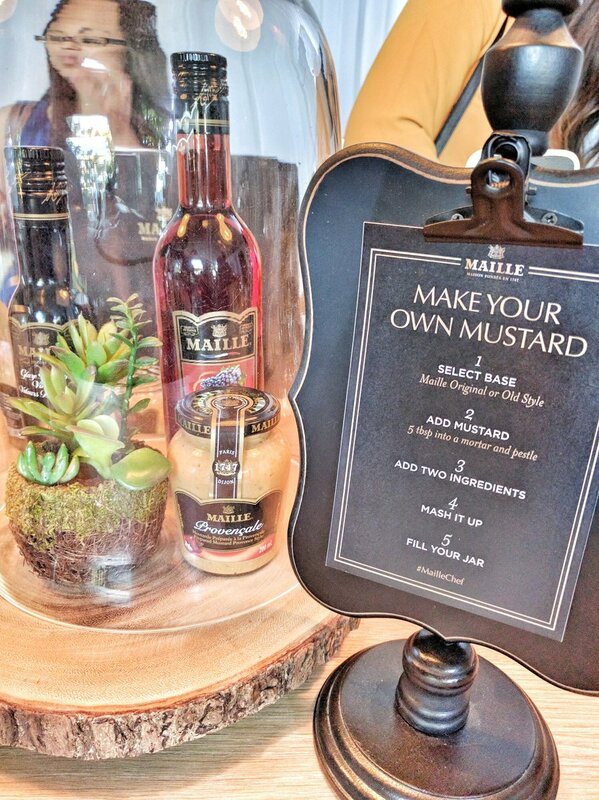 People had the opportunity to make their own gourmet mustard for two crowns ($2), and in doing so receive a free jar of Maille’s exclusive fresh truffle mustard, served on tap! During the VIP Opening Night on Thursday (June 23, 2016), I visited the studio as part of a media invite I received in email. When I visited the studio, I got greeted by Brigitte Foisy who was at the gourmet mustard sampling station. 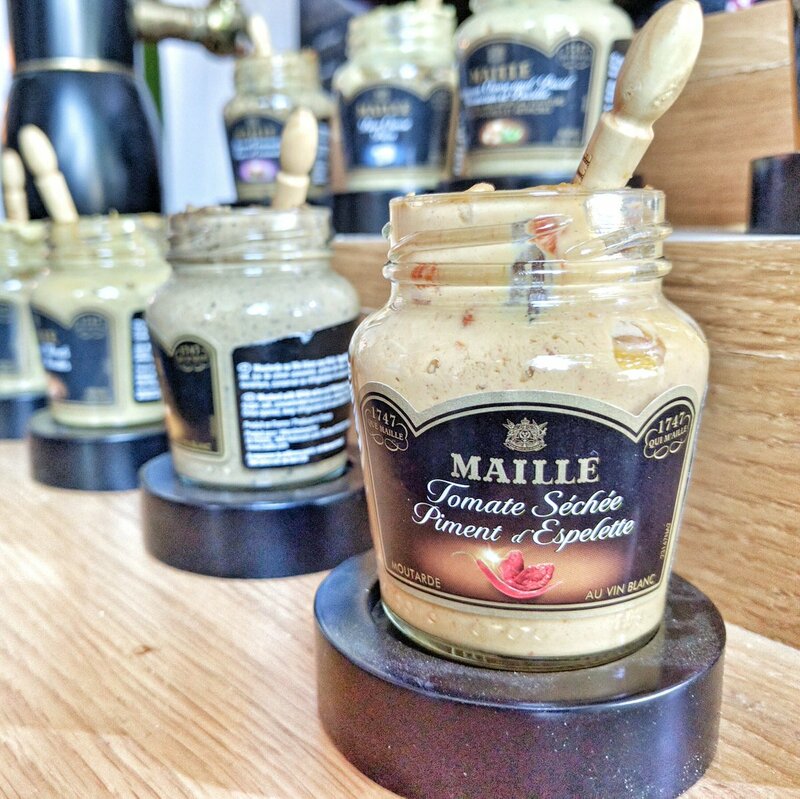 She explained Maille and the various gourmet mustards available for sampling. 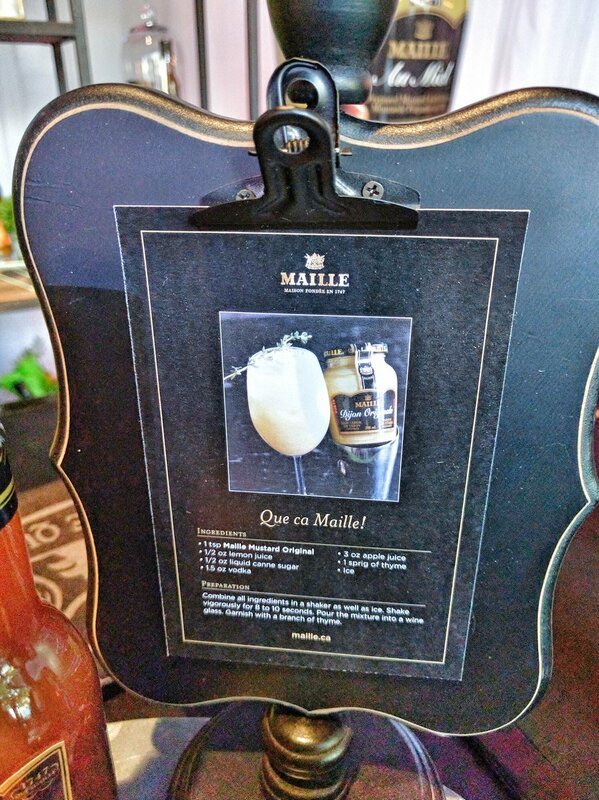 She’s so nice and friendly, and is very knowledgeable about Maille. 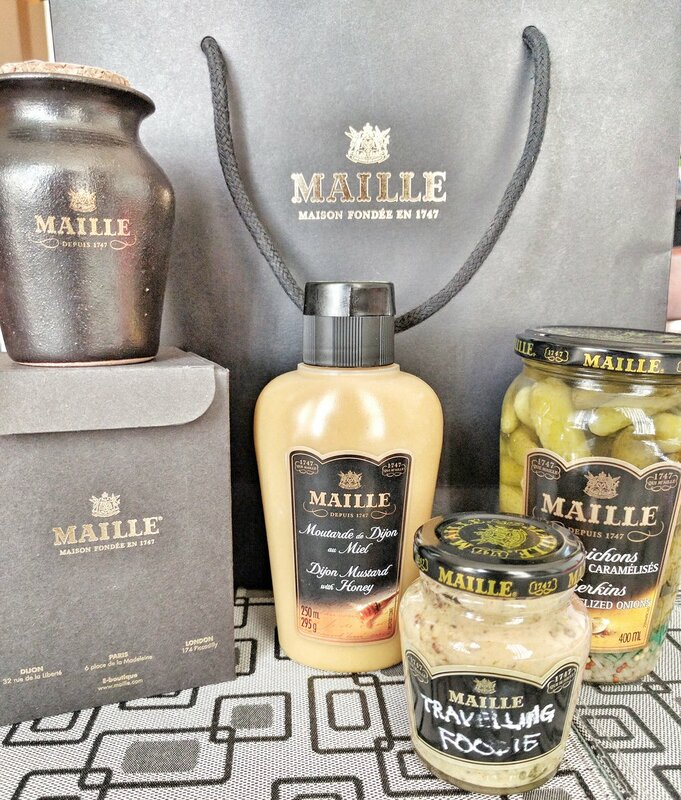 As part of the media invite, she gave me a media package which had Maille Honey Dijon, Maille’s New Gherkins with Caramelized Onions, and a jar of Maille Fresh Truffle Mustard. As well, I was able to partake in the make-your-own gourmet mustard. 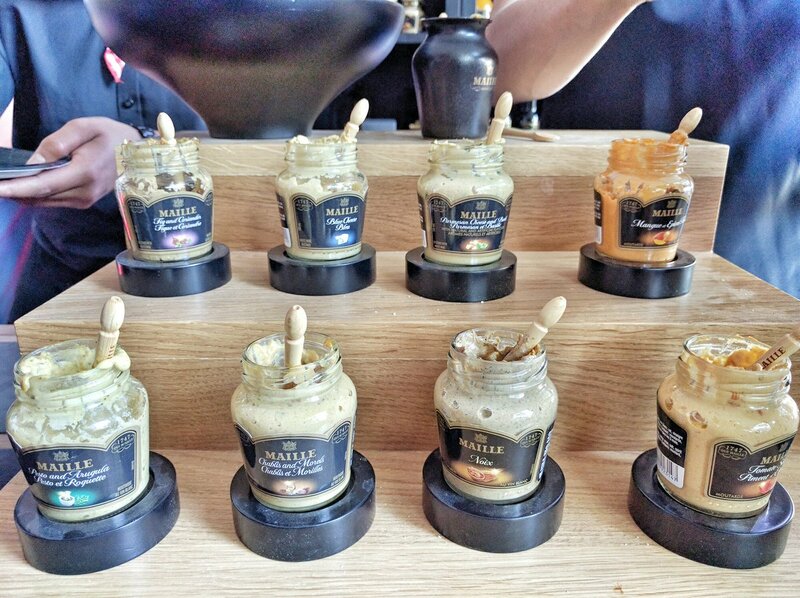 I sampled most of the gourmet mustards available. 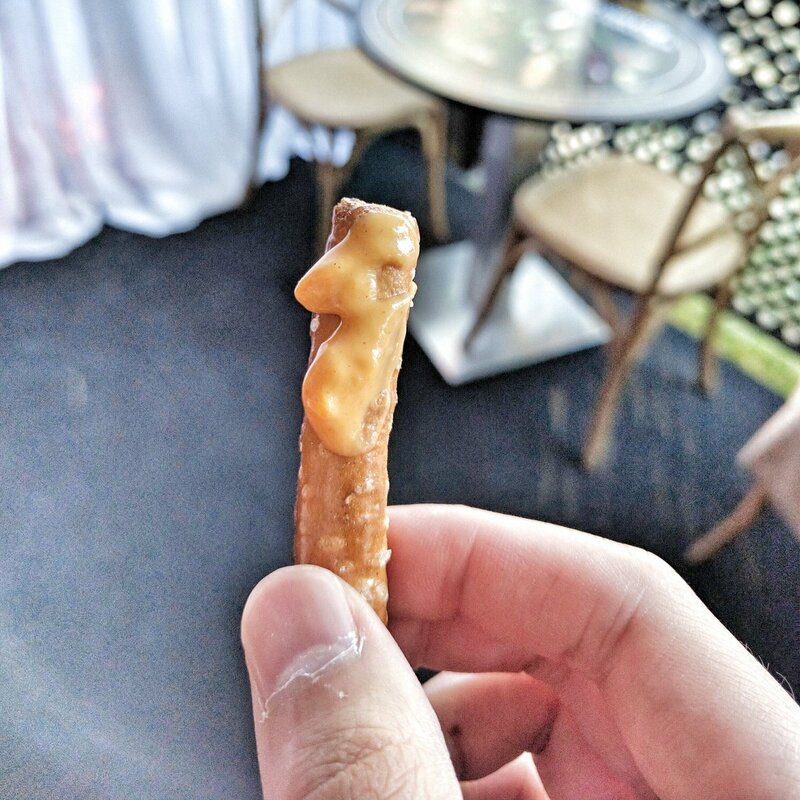 They provide salted pretzel sticks to dip the mustards for sampling. I tried: Pesto and Arugula, Blue Cheese, Truffle Mustard, Chablis and Morel, Parmesan Cheese and Basil, Mango and Spices. My favourite is definitely the Truffle Mustard since I just love love love truffles and this mustard had a strong truffle taste, which I’m glad they didn’t scrimp on. My next favourite would be a tie between Blue Cheese, and Parmesan Cheese and Basil since I love both cheeses. 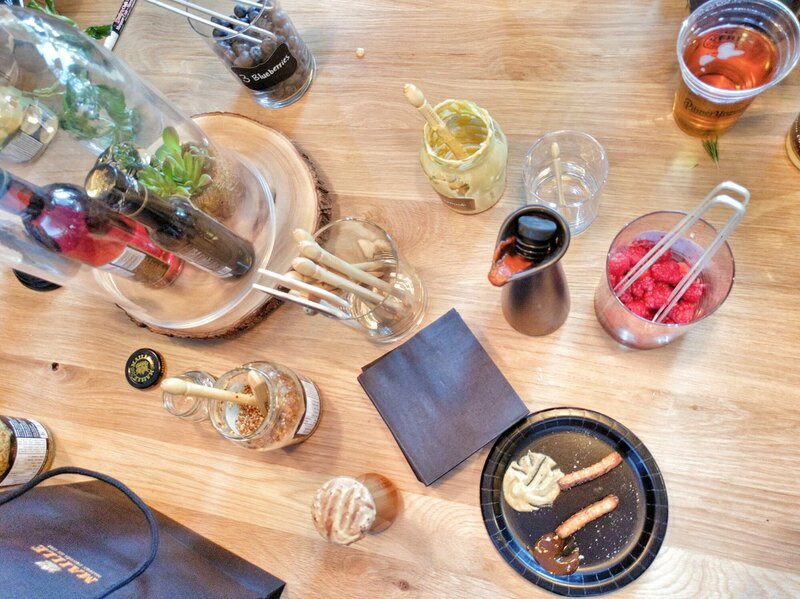 After the sampling, I was provided an empty jar of mustard for the Make-Your-Own Mustard. There were two tables on either side of the studio for people to do this. When we were getting ready, the staff actually gave us a great hint. He said to get the ingredients we want first then mash them up in the mortar and pestle before adding the mustard. This is because it can get messy and hard to mash the ingredients if you have the mustard with it already. There were a variety of ingredients on the table for us to use. 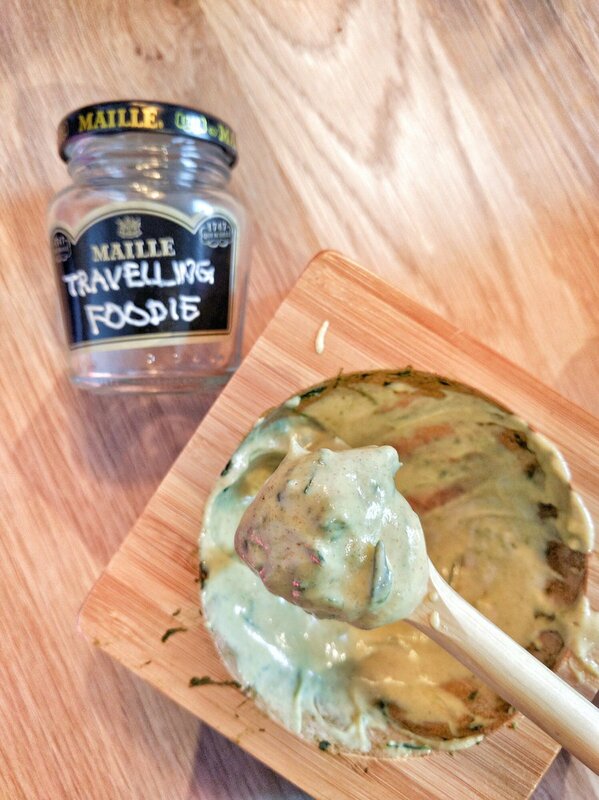 In the end, my Travelling Foodie mustard consisted of: Both Maille Original and Old Style Mustards, basil, rosemary, chives, raspberry and maple syrup. Sounds weird right? But it turned out SO GOOD! I loved it! It was so much fun making it – I was so glad I got the opportunity to try it out. This was definitely one of the highlights of my Taste of Toronto experience. Another unique thing in this studio is the Mustard Cocktail that they were sampling. You get them for free when you do the Make-Your-Own Mustard. I was initially weirded out at the thought of having mustard in a drink, but I was actually surprised how much I enjoyed the drink. You still get the full-on cocktail flavour, but with a kick of mustard. I am thoroughly impressed with Maille overall. I started out as someone who doesn’t even put mustard on anything since I don’t really eat it. Now I enjoy it and would definitely think of ways on using them to enhance my meal! Disclaimer: Although the samples were free-to-public and I received a complimentary products, the opinions expressed here represent my own and not those of the company’s. 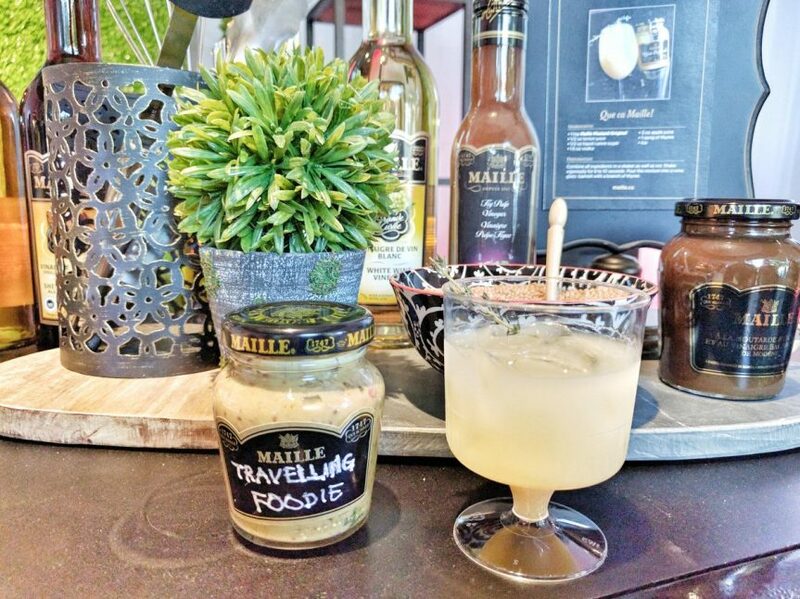 Posted on July 3, 2016 by Travelling FoodiePosted in Canada, Food, Ontario, TorontoTagged events, products.